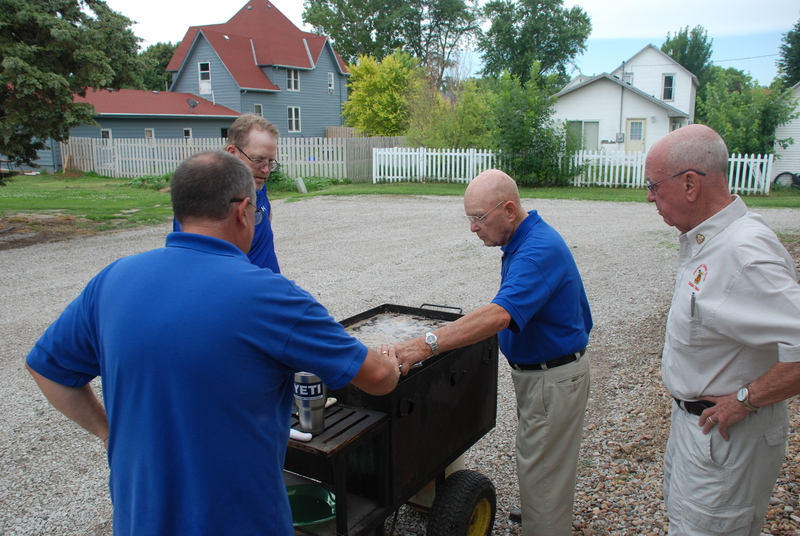 The three bodies calling ShiOma Masonic Center in Omaha their home gathered for a Fellowship Picnic July 27 at Cooper Memorial Farm of the Omaha Home for Boys. Aksarben Chapter #277 OES, Capitol Lodge No. 3 and Shiloh Lodge No. 327 enjoyed an evening of good food and fun games as new acquaintances were made and old ones were strengthened. 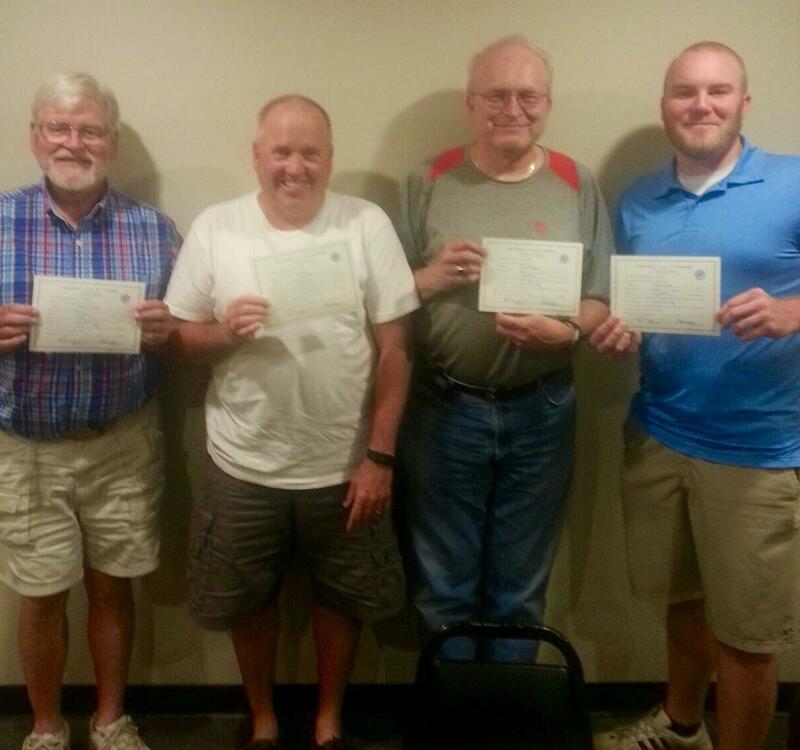 Four of the Omaha proficiency class led by WB Jim Carlton, Grand Orator received their Certificate of Proficiency in the Entered Apprentice degree tonight, Sunday, July 19, 2015. They all deserve a big congratulations! 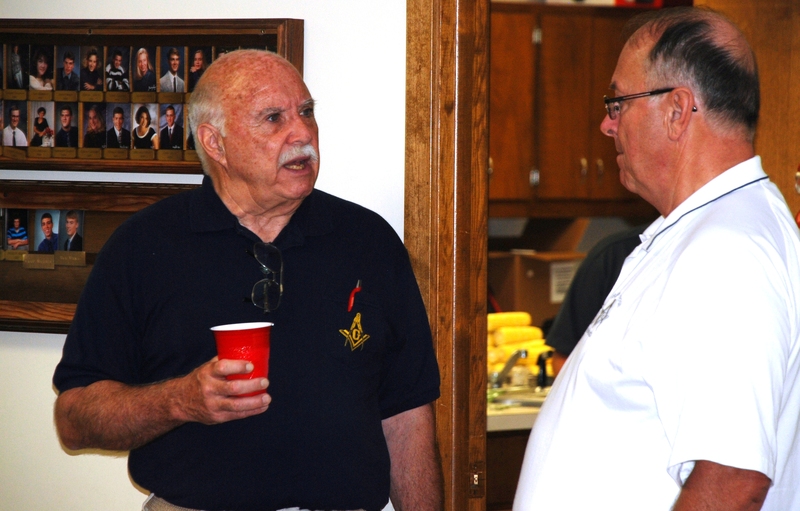 The Rocky Mountain Conference of Grand Lodges was held on Thursday, Friday, and Saturday July, 16, 17, & 18, 2015 in Casper, Wyoming. Member lodges are Colorado, Idaho, Montana, Nebraska, Nevada, New Mexico, and Utah. 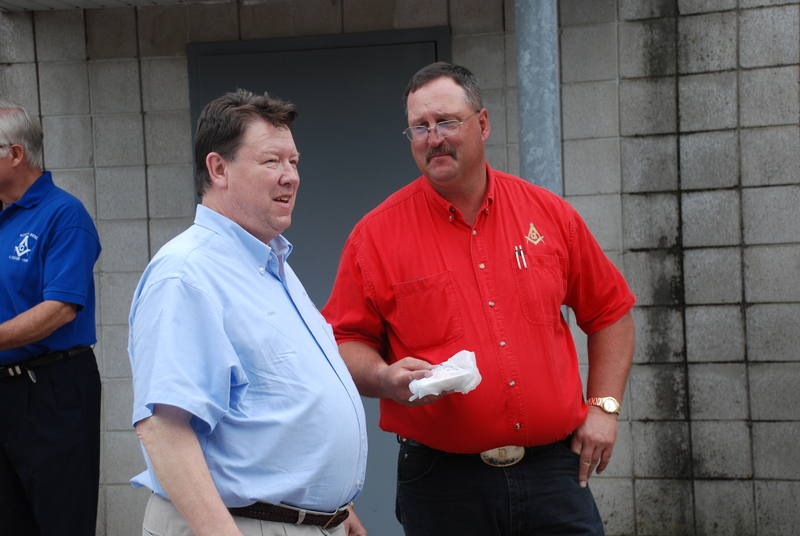 Also in attendance were representatives from Arizona, Massachusetts, Kansas, South Dakota, and Vermont. The purpose of the conference is the free exchange of ideas and Masonic matters, and provide Masonic education for our lodges. The keynote speaker was Mark Allen Tabbert, director of collections for the George Washington Masonic National Memorial in Washington, DC. 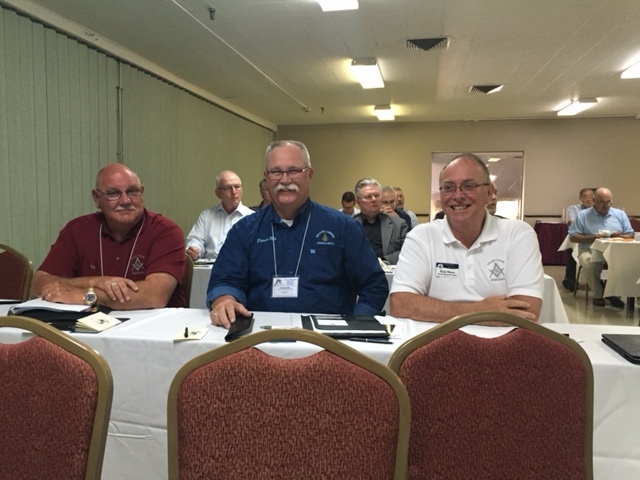 WB Bob Moninger, GSD, RW Dennis Rix, DGM, and RW Rick Myers, GSW at the 2015 RMMC in Casper, WY. 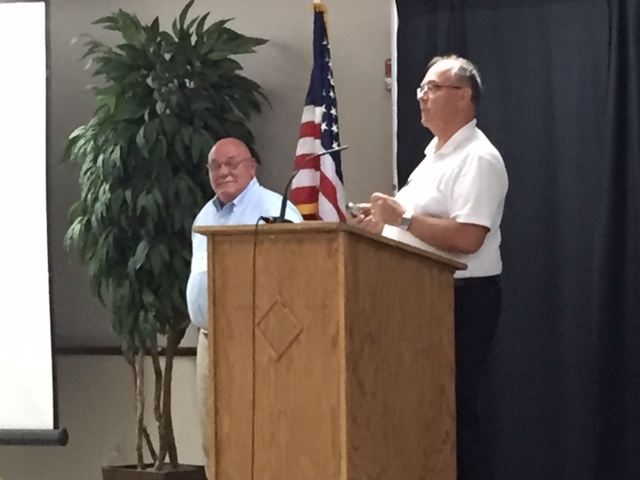 RW Rick Myers, GSW and WB Bob Moninger, GSD presenting at the Rocky Mountain Masonic Conference in Casper, Wyoming on Saturday, July 18, 2015. 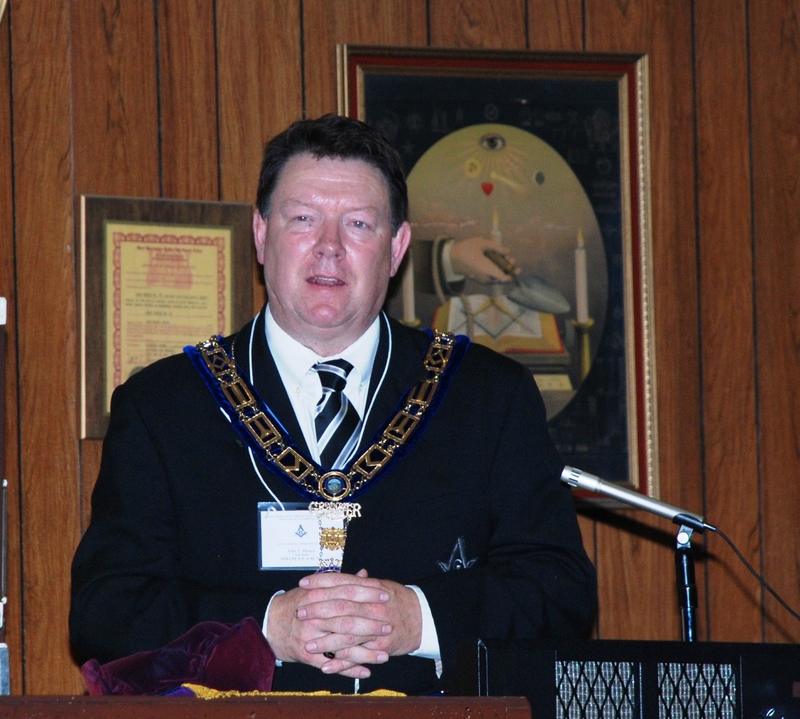 MW John T. Maxell is shown addressing and bringing greetings to the attendees at the July 17, 2015 Public Opening of the Most Worshipful Prince Hall of Nebraska Annual Communication held in Omaha, Nebraska. 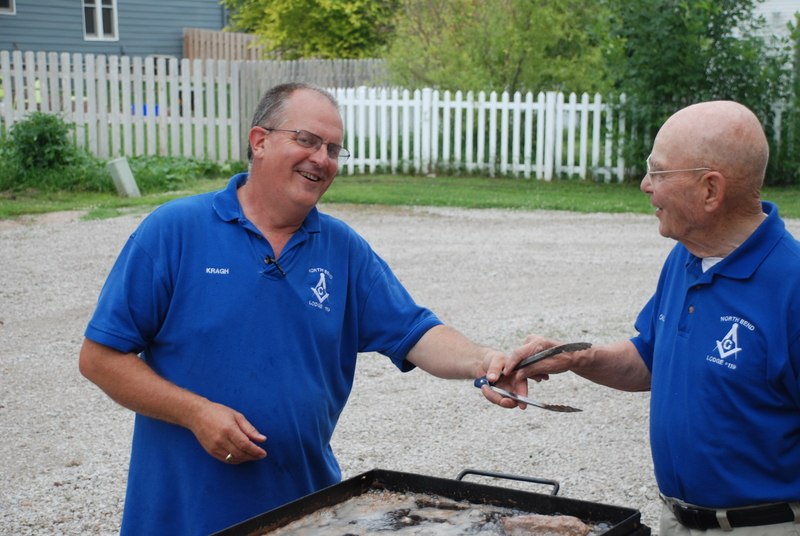 North Bend Lodge # 119 held their annual steak fry on Tuesday, July 14, 2015. 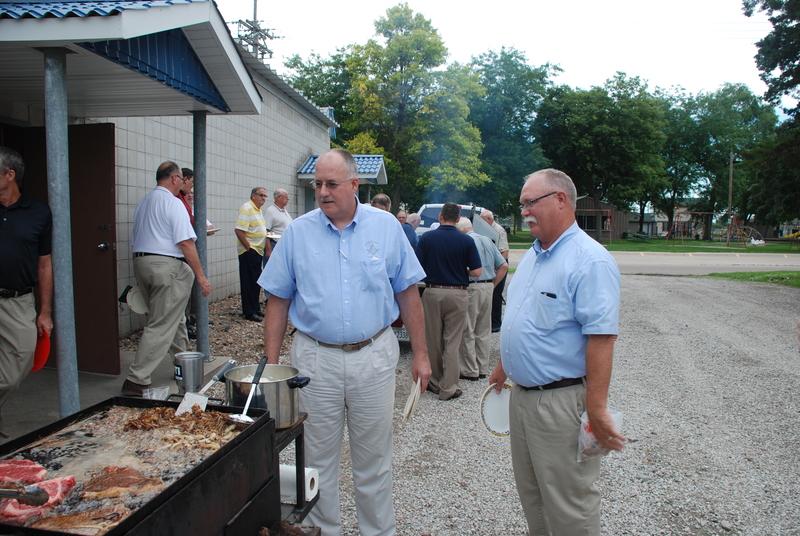 It was well attended by lodges from the surrounding area. You bring a steak to cook and tableware to eat it, and they are gracious enough to supply the corn on the cob and fixings to match! 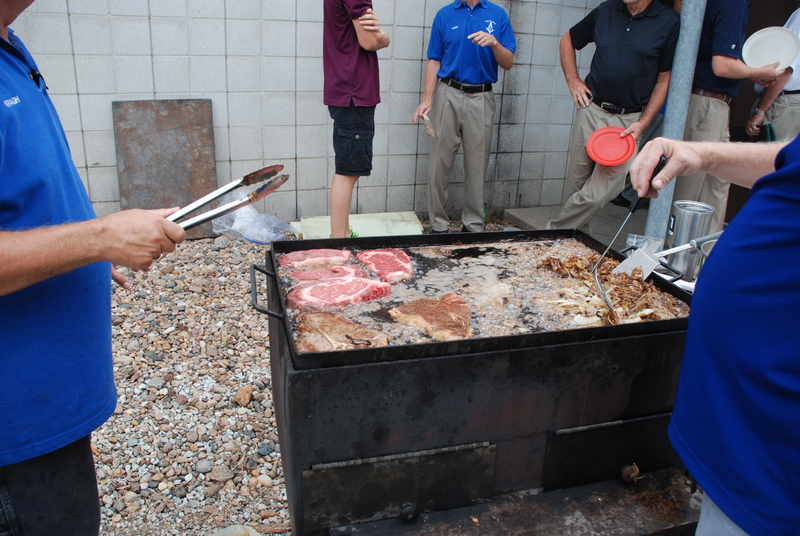 This event is for men only and is a great time to enjoy good food and great fellowship. The meal was followed by a short business meeting. Steak and Onions Cooking in Lard, what could be better? Silence Reigns! Enjoying the food. 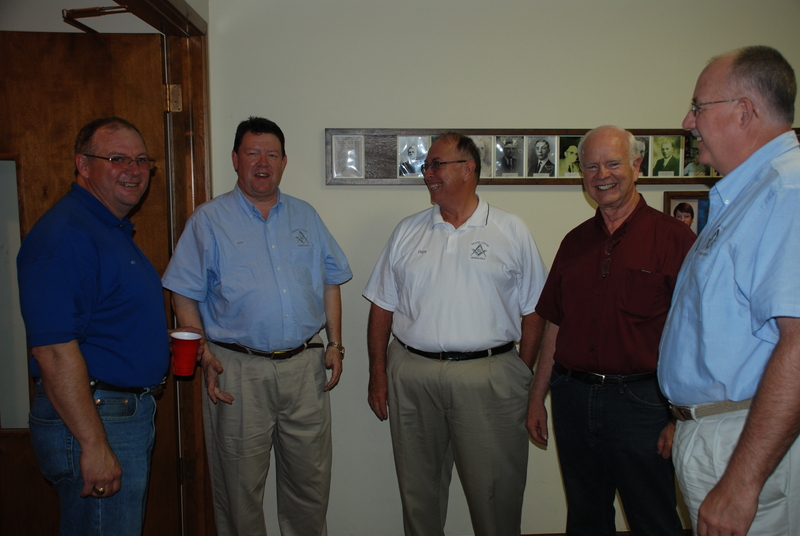 WB Rich Ray invites the brothers to attend lodge. 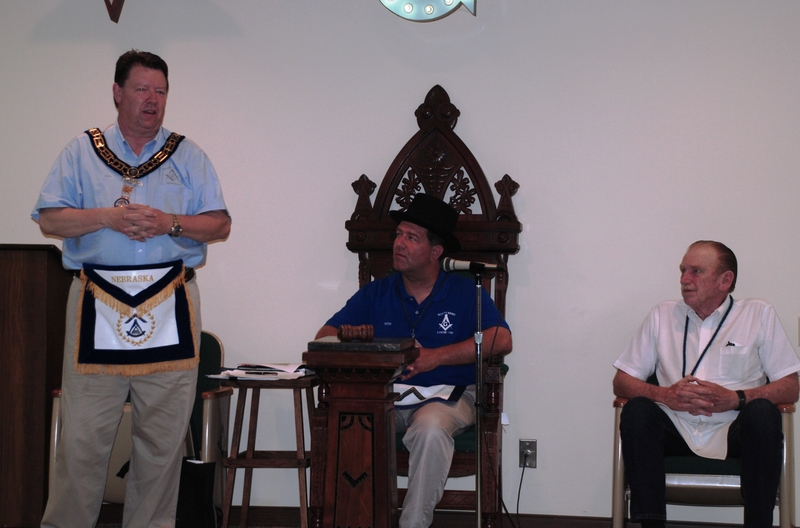 MW John Maxell Addresses Lodge # 119 and the visiting brethren. 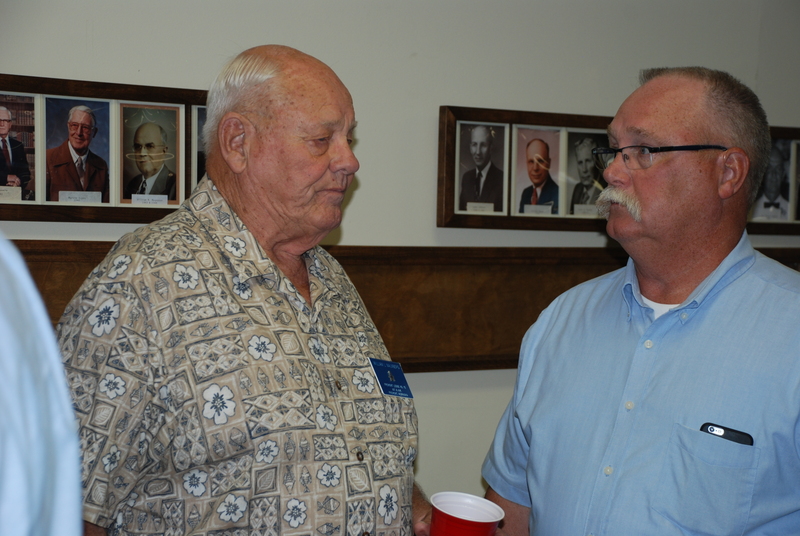 Grand Senior Warden Rick Myers attended the Newman Grove Lodge No. 305 Annual Picnic on July 13th. 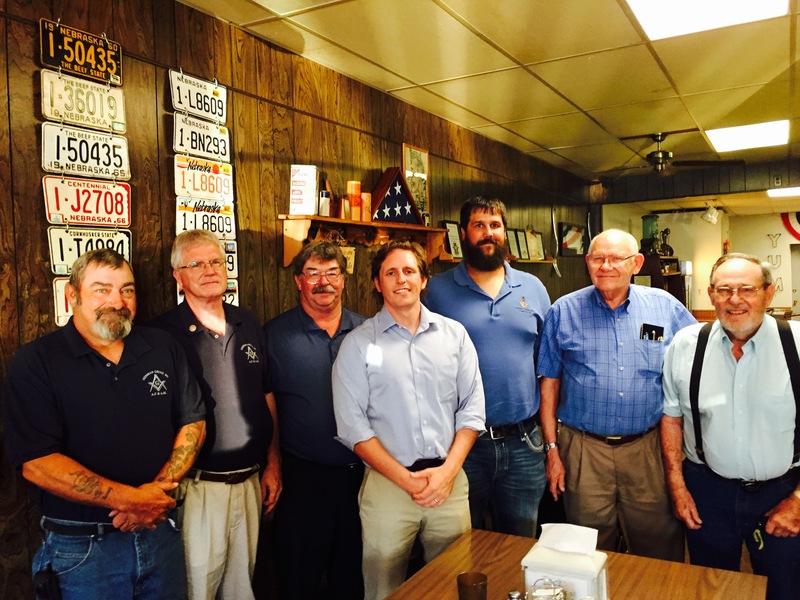 Members of Albion Lodge No. 78 attended the picnic as well. 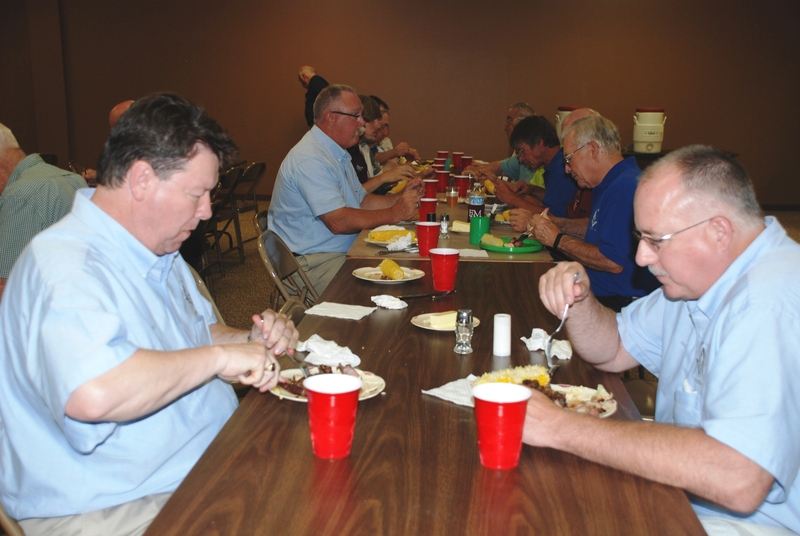 Members and wives enjoyed good food and fellowship. 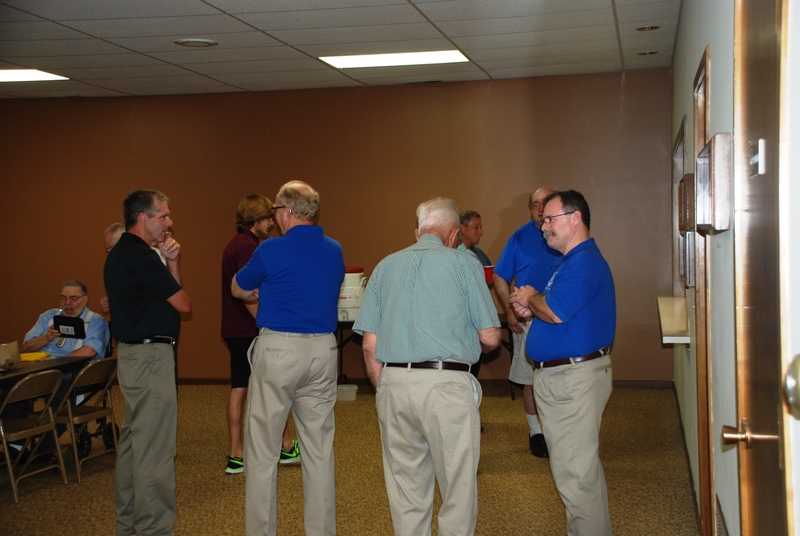 Officers of Newman Grove 305 and Albion 78 gather for the Newman Grove Annual Picnic. 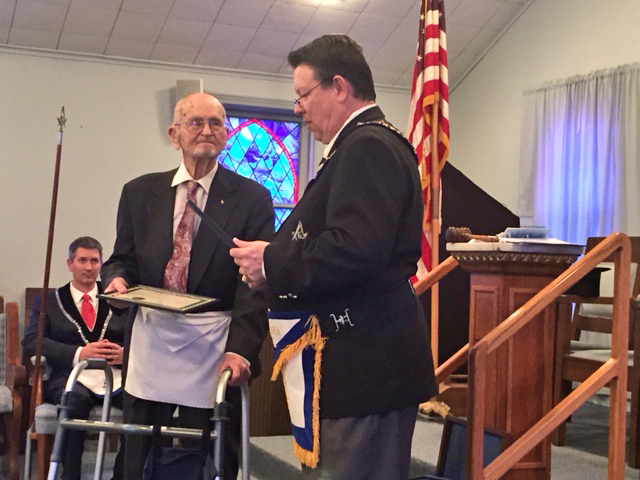 Grand Master John Maxell awarded the Gold Jordan Medal to Brother Paul T. Filipi of Capitol Lodge No.3 in Omaha on July 2nd. The Gold Jordan Medal is awarded to the Nebraska Mason residing within the state with the longest standing membership. Brother Filipi was raised in Signet Lodge No. 193 in Leigh, Nebraska on March 26, 1940. 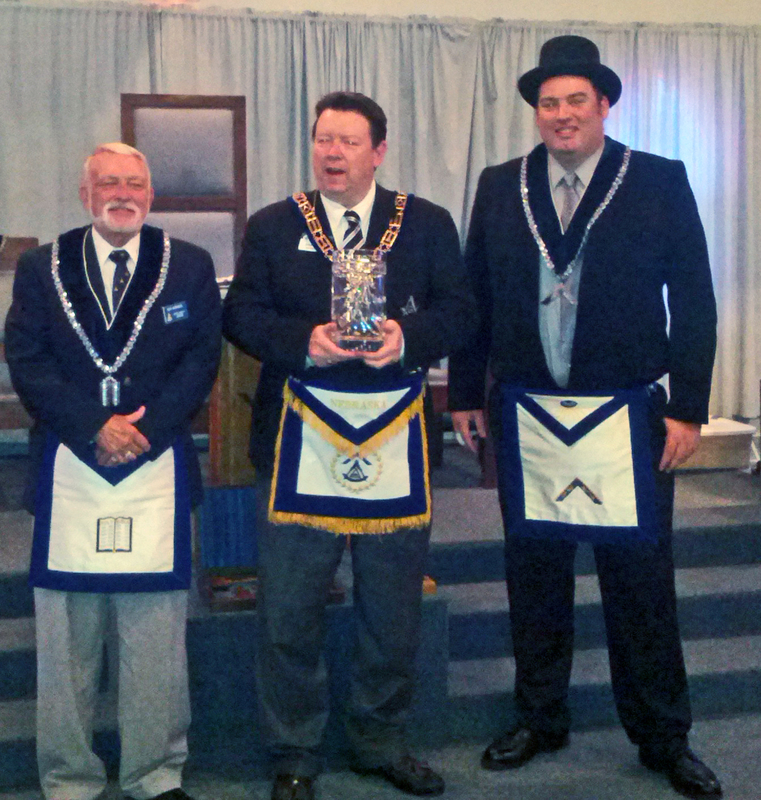 Signet Lodge consolidated with Northern Light Lodge No. 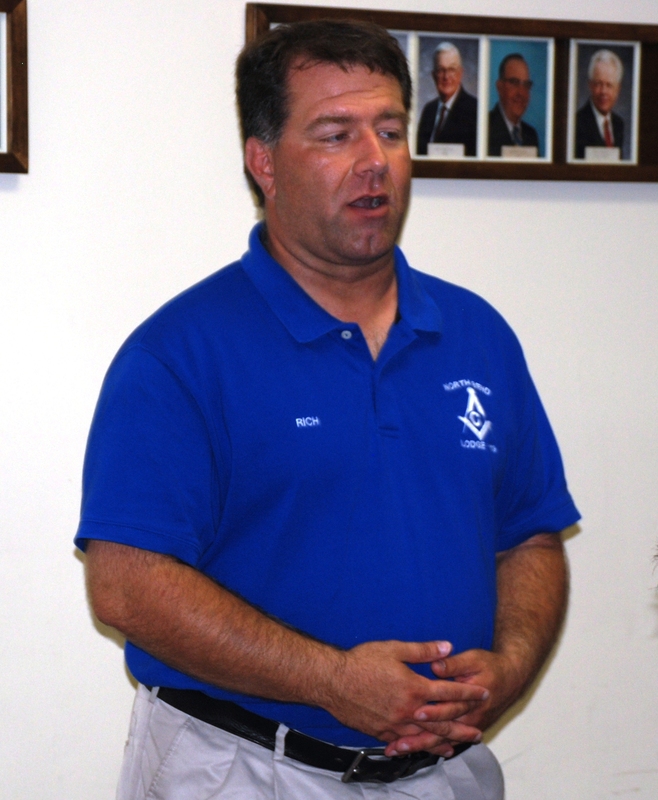 41 in Stanton in 1976, and, in 2002, Brother Filipi transferred his membership to Capitol Lodge No. 3. He has been a member for over 75 years. Pictured are M.W. 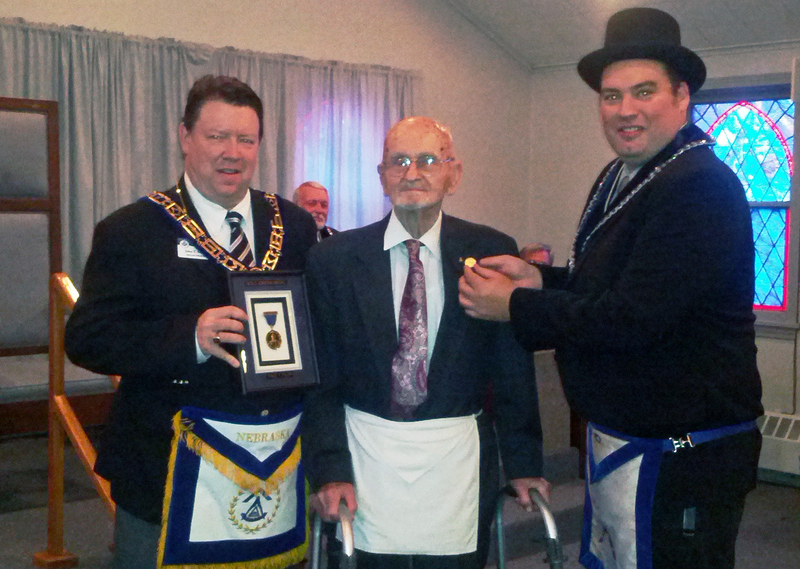 John Maxell, Gold Jordan Medal Holder Paul Filipi and Worshipful Master Andrew Freeman of Capitol Lodge No. 3. 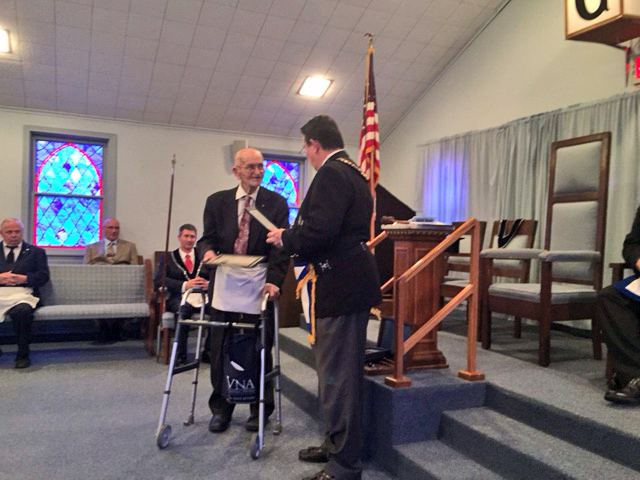 Grand Master Maxell also presented the Lodge Membership Award to the members of Capitol Lodge No. 3 on July 2nd. The membership award was announced at Annual Communication in February 2015. The lodge was the small lodge in the state with the highest percentage of membership increase in 2014, with a net increase in membership of 12.20% and 10 members.The large lodge winner was Florence Lodge No. 281 in Omaha, with a net increase in membership of 1.96% and 2 members. 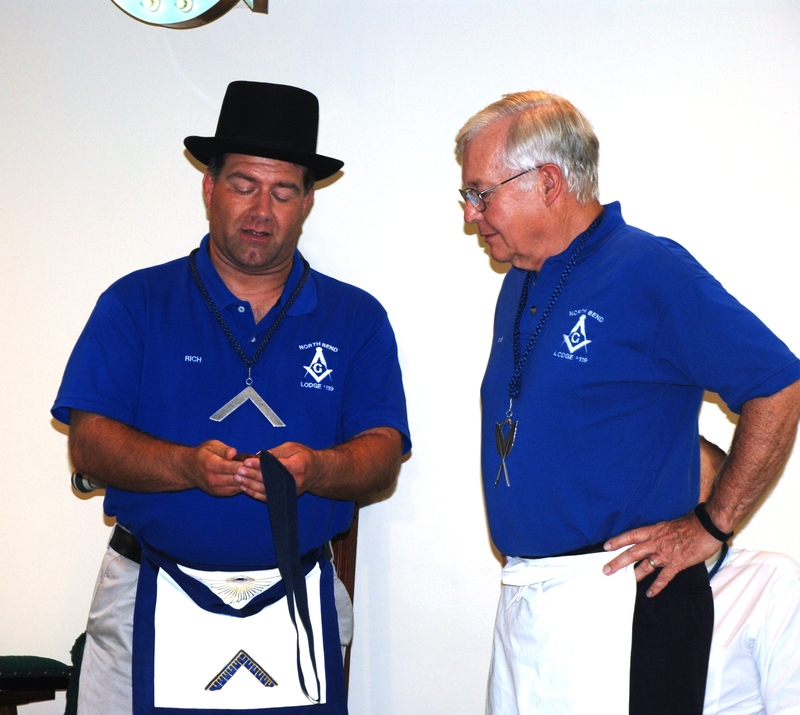 Pictured are 2014 Master of Capitol Lodge Kenneth Bunnell, Jr., M.W. 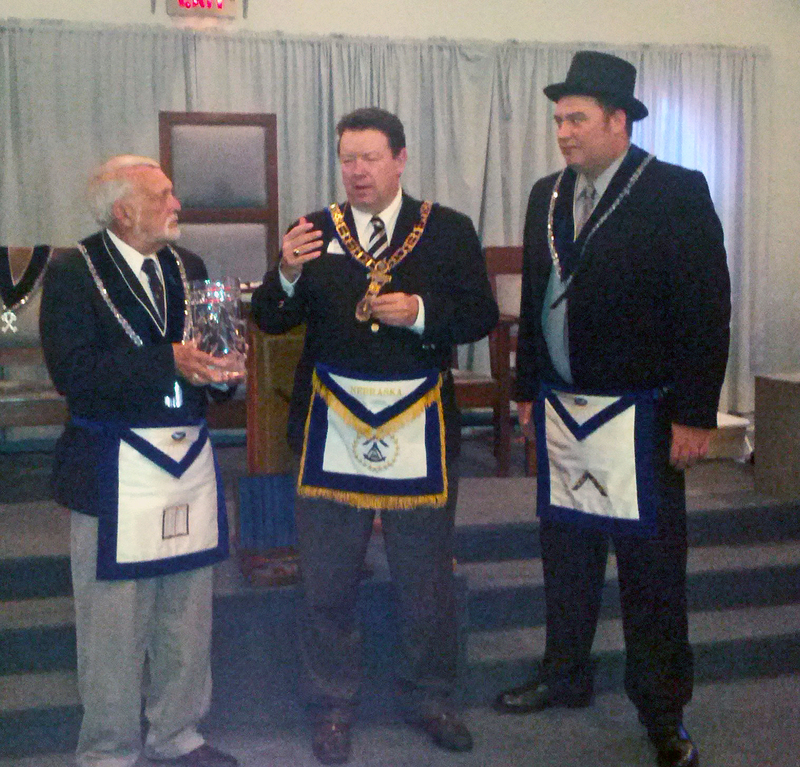 John Maxell, and 2015 Master of Capitol Lodge Andrew Freeman.